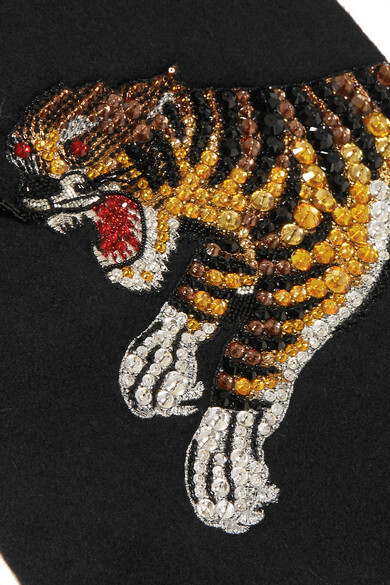 Alessandro Michele has established several signatures since taking Gucci's helm, and roaring felines are one of the Creative Director's most playful. 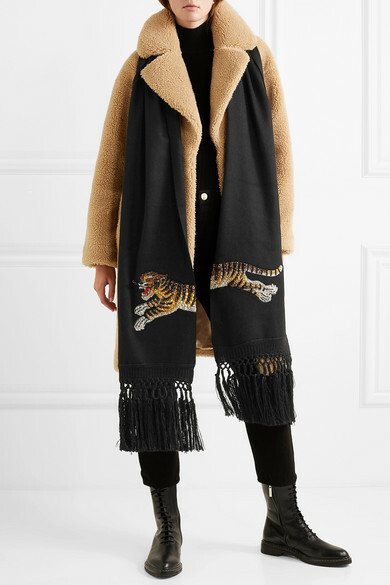 Decorated with a glistening crystal-embellished tiger, this scarf has been spun in Italy from a blend of wool and cashmere and finished with rows of braided fringe. 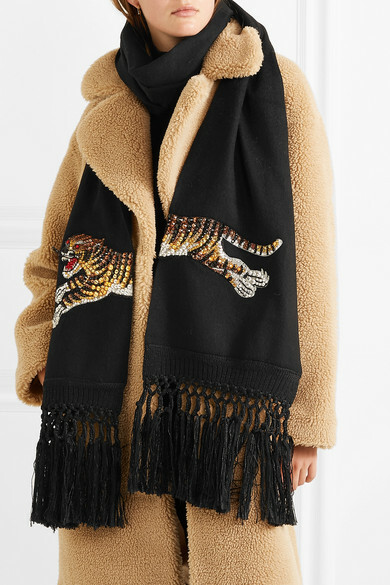 Shown here with: T by Alexander Wang Sweater, Goldsign Jeans, STAND Coat.